Over the past week, the U.S. Senate Committee on Appropriations has passed bills to fund commerce and science, transportation, energy and water and agriculture. Regional Innovation Strategies would be funded at $21 million, an increase of $4 million over FY 2017. Other innovation proposals received mixed support, as the Senate cut $3.2 billion from commerce, justice and science funding and another $400 million from agriculture. For lists that provide an overview of FY 2018 (compared to FY 2017 | House FY 2018) science and innovation funding levels on a per-subcommittee basis, click here. The Senate set its spending levels equal to FY 2017 spending, but this level of funding is requires further Congressional action. 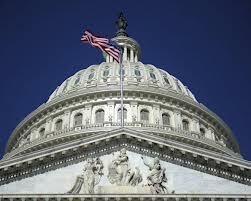 The Budget Control Act of 2011 set in place annual limits on federal discretionary spending. Congress has chosen to adjust these limits to provide for higher spending levels, but the most recent adjustment has expired. Without further action, the limits for FY 2018 are below the previous year’s limits by $4.9 billion. Both the House’s and Senate’s appropriations bills are above the required caps for FY 2018. In order to enact the proposed funding levels without triggering across-the-board funding cuts, Congress will need to act to increase the spending limits. Under normal order, these approved bills would move next to the floor of the Senate, while the appropriations committee would continue working through the remaining spending bills. However, because both chambers are developing spending plans that require increasing spending limits, as noted above, the FY 2018 budget may not be set before the end of the current fiscal year. Although there is good news for science and technology in the bills passed today, the House and Senate must solve the problem of spending caps and conference their bills before FY 2018 funding can be finalized. There are still many steps in the process before spending numbers are set. Rittenberg urges anyone interested in ensuring Congress adequately supports funding for science, tech, innovation and entrepreneurship initiatives in FY 2018 and beyond to contact SSTI at 614-901-1690 or contactus@ssti.org.